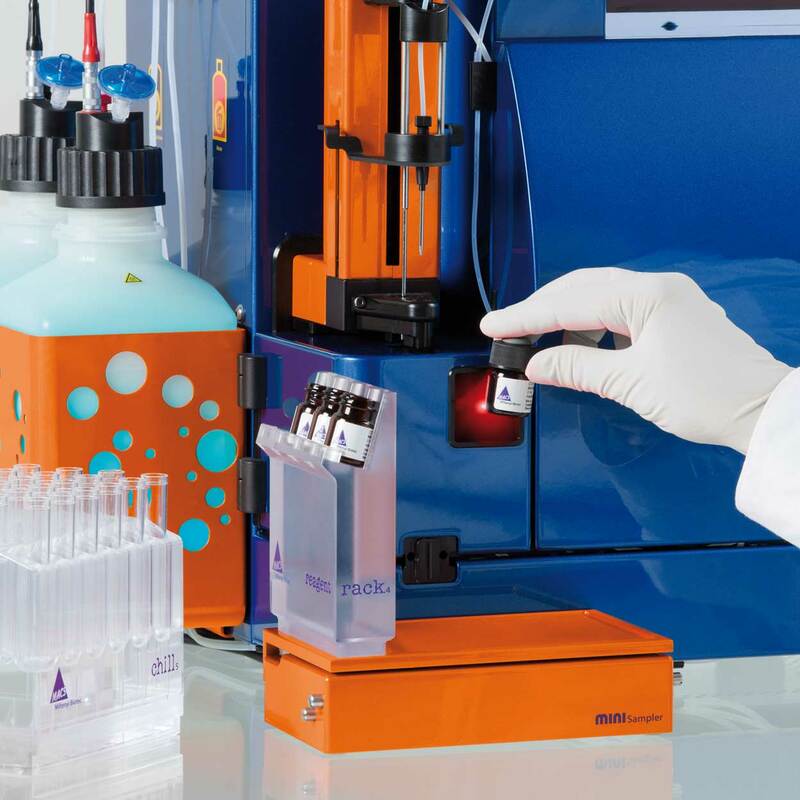 The autoMACS Pro Separator is a benchtop instrument for fully automated separation of cells from a broad range of starting materials. Based on our trusted MACS MicroBead Technology, it allows easy and fast cell isolation of virtually any cell type from any species. A barcode reader recognizes the MACS Reagents and automatically selects the appropriate separation program. MACS Chill racks allow processing of up to six samples in one single run. Up to four reagent vials can be placed on the MACS Reagent Rack. Just select "run" and walk away. Fully automated cell labeling and separation is performed with minimal hands-on time. After separation, the instrument provides you with your desired target cell population, fully compatible with any downstream application. By providing maximum flexibility in terms of starting materials, the autoMACS Pro Separator can be used for a variety of applications. For example, the isolation of CD14+ cells directly from whole blood or bone marrow using StraightFrom™ Whole Blood CD14 MicroBeads, human allows for standardized isolation of monocytes and macrophages. CD14+ cells, isolated with the autoMACS Pro Separator are well-suited for further flow cytometric, molecular or functional analyses, such as proliferation and activation assays. The autoMACS Pro Separator allows automated labeling of cells with magnetic MACS® MicroBeads. 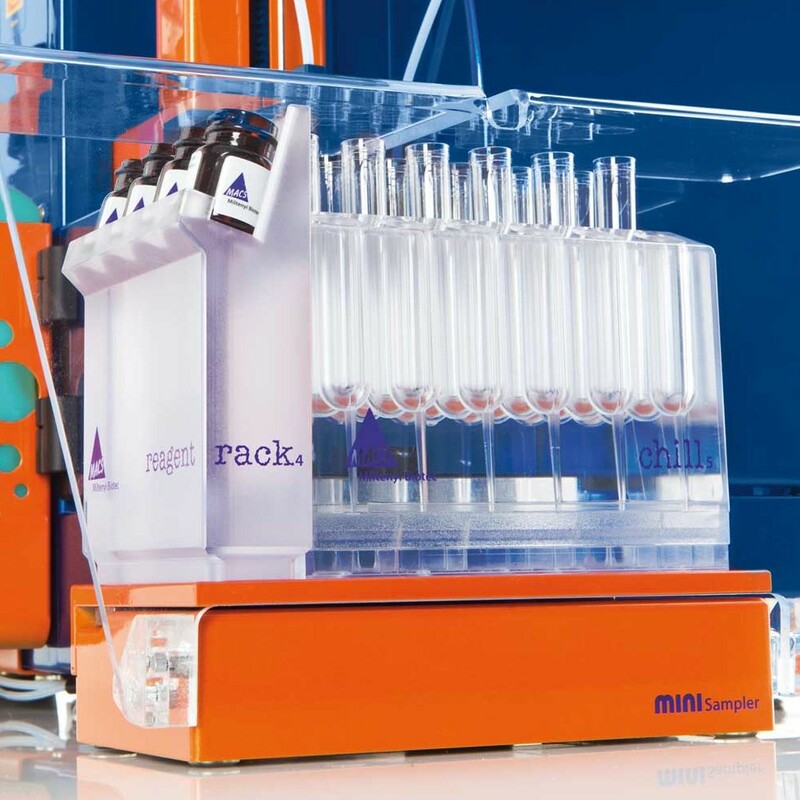 The MACS Reagent Rack can accomodate up to four reagent vials. Using the barcode reader, MACS Reagents can be scanned and the instrument automatically selects the appropiate separation program. Parallel sample processing: Up to 6 samples can be processed in a single run, while keeping them cooled on a MACS Chill Rack. This saves you time, is reliable, and delivers reproducible results. Sensor-controlled processes: The autoMACS constantly monitors the instrument status, buffer levels, and column status. 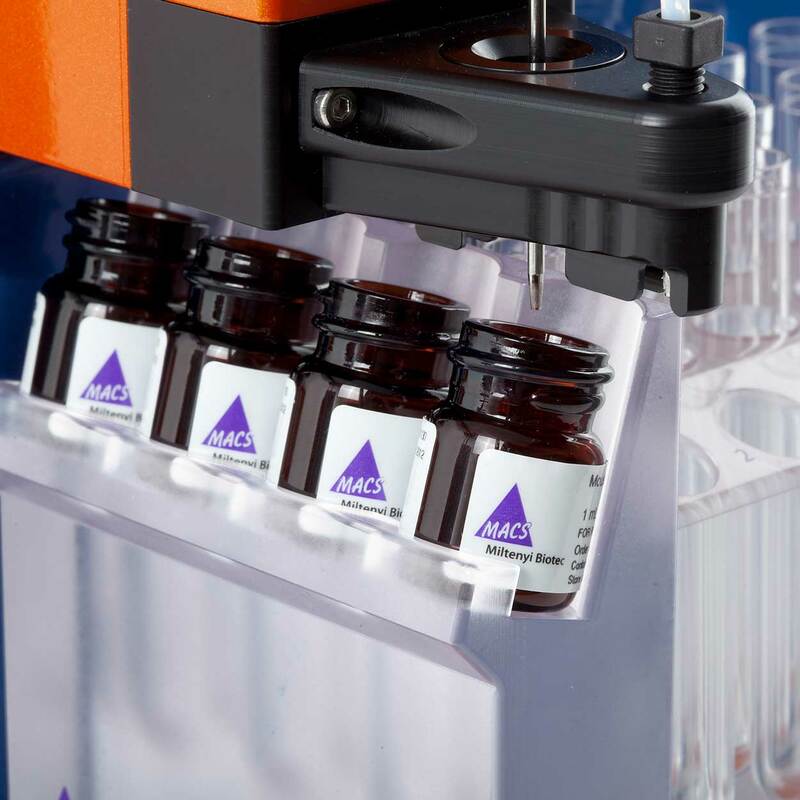 This ensures optimal performance and safety of your samples. 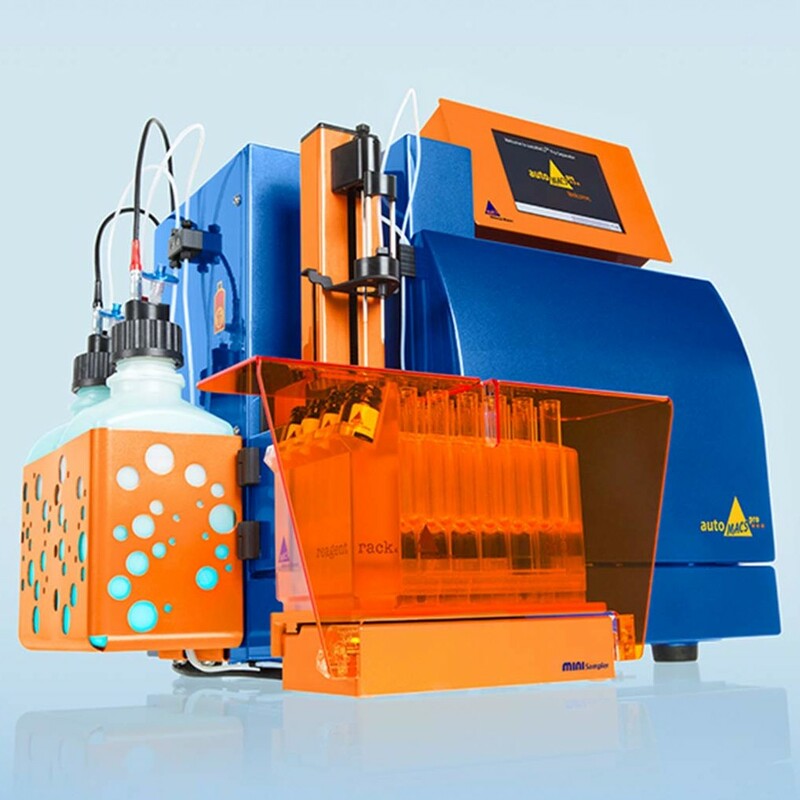 Target cells ready for downstream applications: Cells purified using the autoMACS Pro Separator are well-suited for further flow cytometric analysis, molecular biology studies, and functional studies. The reusable autoMACS Column is specifically designed for use with the autoMACS Pro Separator delivering high cell purities and recoveries. 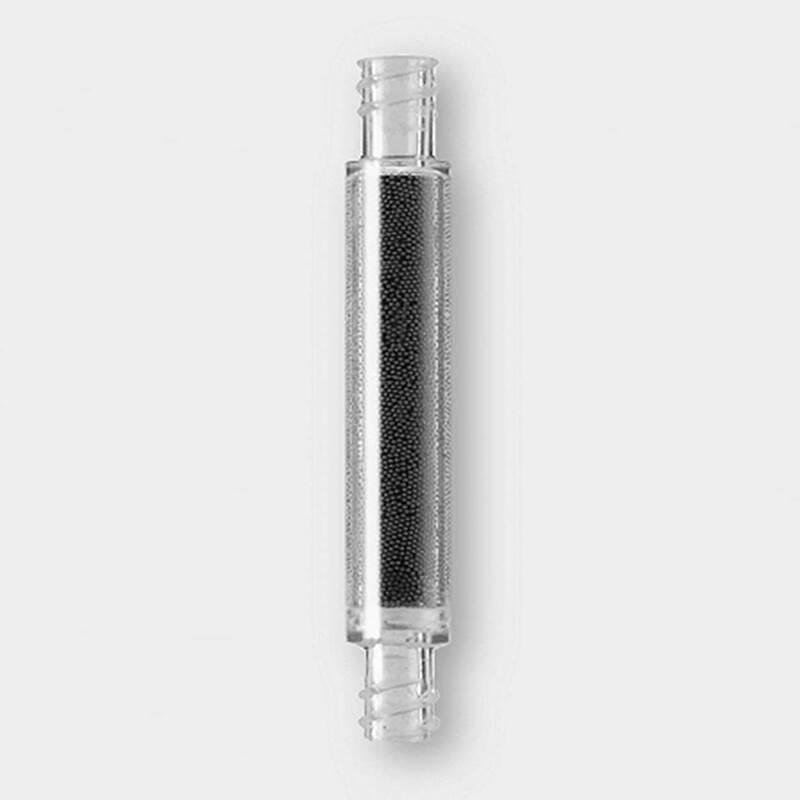 Whether performing positive selection, depletion, or untouched isolations, this column fits all your cell isolation needs. Once installed, the columns become part of a closed fluidic system that keeps you safe when dealing with hazardous samples. Monitoring and priming of the column is automatically managed by the instrument software. The autoMACS Columns are specifically designed for use with the autoMACS Pro Separator. Maintain the integrity of your valuable samples by keeping your cells at 4° C. MACS® Chill Racks allow up to 6 samples to be processed in a single batch. The flexible format is compatible with 50 mL, 15 mL, or 5 mL tubes. Download our brochure and learn more about the autoMACS Pro Separator. The autoMACS Pro Separator is highly time-saving, while providing a fast, reproducible, and cell friendly cell separation. With small modifications, even better purities can be obtained compared to manual separation. The research group uses their autoMACS Pro Separator for the isolation of human and murine HSCs, T cells, and dendritic cells. They perform both positive and negative selection strategies with important markers such as BDCA2, BDCA4, CD4, CD8, CD11b, CD105 and a lineage-panel. After cell separation, cells are used for in vivo (e.g. transplantation) and in vitro (e.g. co-culture, stimulation, and analysis) experiments.